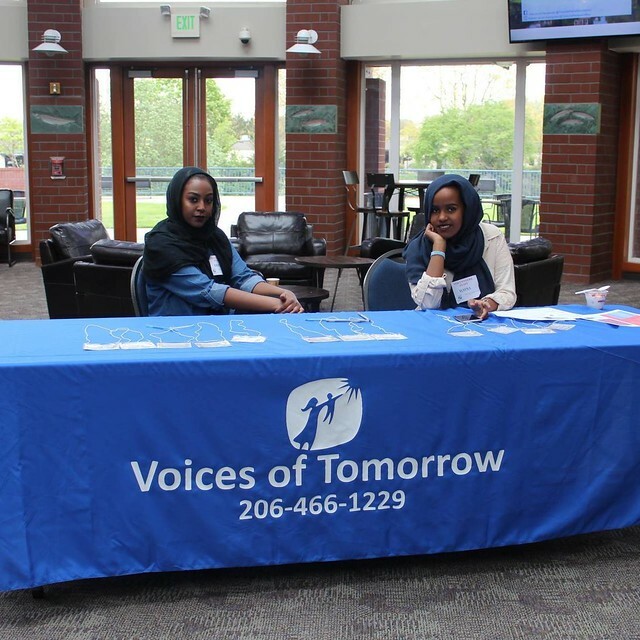 Voices of Tomorrow has been serving East African childcare providers and their families for more than five years. The co-founders Zamzam Mohamed and Iftin Hagimohamed saw how a lack of cultural understanding in early learning was impacting their community. So they set out to better equip East African child care providers, children and families while breaking down cultural barriers. The organization fully came together in 2012. Since then co-founders have worked to put together programs and conferences along with members of the community. One such event in December was The Somali Women’s gala. The purpose of the event was to celebrate and empower Somali women in the local community. It also serves to appreciate and acknowledge the many women who work in the childcare field. They also hold an annual childcare conference is held to support providers. This conference not only holds mandated trainings and improves professional development, but connects members of the community working towards a similar goal. After receiving a grant from the City’s Technology Matching Fund, Voices of Tomorrow pushed to open a computer lab in the Hope Academic Enrichment Center, close to Voices of Tomorrow’s headquarters in South Seattle. The lab supports local childcare providers in gaining computer skills such as opening emails, responding to licensures and writing documentations. Voices of tomorrow co-founder saw a common challenge among the 400 plus childcare providers in King County, and 166 in the Seattle area. They launched the computer lab project was started to improve tech literacy. “People come in at different levels, so we created a ‘tailored needs service,’ where we will pair two people up. One who is very knowledgeable in the subject and someone who wants to learn about the certain subject. 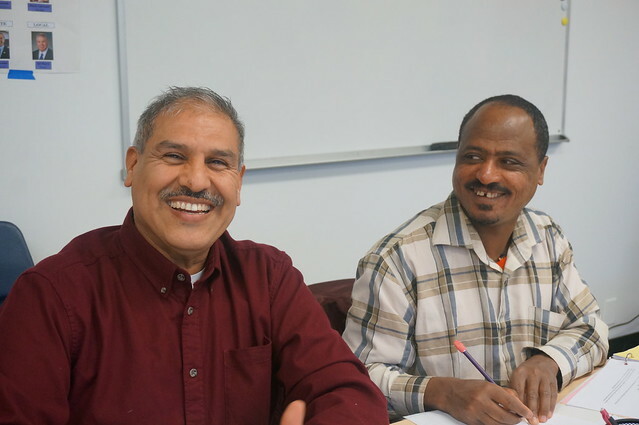 We use this system because our community of immigrants, especially where I am from, really thrives well with peer to peer support and activities,” said Mohamed. Community members also come in to the lab to help providers with the various computer skills. In addition, about 80 children were given access to the computer lab for homework help, and to work with a teacher on computer skills like typing. Children in grades six and up were using the computer lab. The lab features a total of eighteen HP computers, including a printer, copier, scanner and projector. The projector was used during a nine week literacy training, in three hour sessions taking place every Wednesday and Saturday beginning last December. After a successful launch, the computer lab has moved to the Voices of Tomorrow office, where community members can still drop in and assist each other with various skills. Voices of Tomorrow started with the idea of breaking that cultural barrier. So Mohamed says that when childcare providers can call Voices of Tomorrow and there is no barrier in understanding, it brings her immense joy. She says that the most rewarding part of her job is when childcare providers have the “A-ha moment” where they try out a method in their own childcare program and it successfully helps a child do better. In 2016 the City of Seattle awarded 10 community organizations a total of $320,000 in Technology Matching Funds (TMF). This funding will assist more than 2,500 residents in historically underserved or underrepresented communities who lack the necessary technology access and essential digital skills to thrive in the 21st century. The Lazarus computer lab gives visitors access to software like Microsoft Word and provides an internet connection for clients to engage in housing and job searching, communicating on social media, or just watching a YouTube video to unwind. The computer lab is currently accommodating between 50 and 60 people per week. As the homelessness crisis peaked in 2016, the Lazarus Day Center in Pioneer Square found itself serving more homeless and marginally-housed people than ever this last year. “The Laz” as it’s lovingly called, provides a range of services for homeless and marginally housed people aged 50 and over. Those include laundry, showers, meals, counselling, housing case management, activities and classes, and as of this year, a 6-station computer lab. As plans were being made to clear The Jungle, volunteers from the Laz went to the Seattle City Council and fought hard to get the funds that allowed the center to open earlier and provide more meals and add an additional housing case manager. The Laz secured housing for 49 people in 2016 and expect that number to go up in 2017. With the help of the Technology Matching Fund, The Lazarus has also been establishing a technology center for its clients. Prior to the construction of their 6-station computer lab, the Laz did not have computers or internet access for its clients. They now have staff building out classes specifically to help people develop computer skills. According to Jennifer Newman, the Program Director at St. Martin de Porres Shelter and Lazarus Day Center, these classes cover everything from resume building, learning Word, looking for housing, job searching, and connecting with family on social media. “We want to expose people to a variety of activities and classes to enrich their lives but also, to build relationships founded on trust and respect. This enables us to engage clients in meaningful housing case management,” Newman says. Between the additional meals, the new computer lab, classes, and other events, the Lazarus is now strained when it comes to physical space — but Newman says that they’re devoted to continuing to help more and more people regardless. It was an especially cold December afternoon when I visited the STAR of Seattle in the Central District. I was greeted by Misha, a STAR volunteer, who was sitting at the front desk in a room full of purring computers. STAR stands for Special Technology Access Resource and its mission is to empower people of widely varying abilities and disabilities to build community using computers, the internet and assistive technology. I was floored when I toured the assistive technology available in the Center — things I didn’t even know existed like a braille printer and enlarged print keyboards for people with low vision. 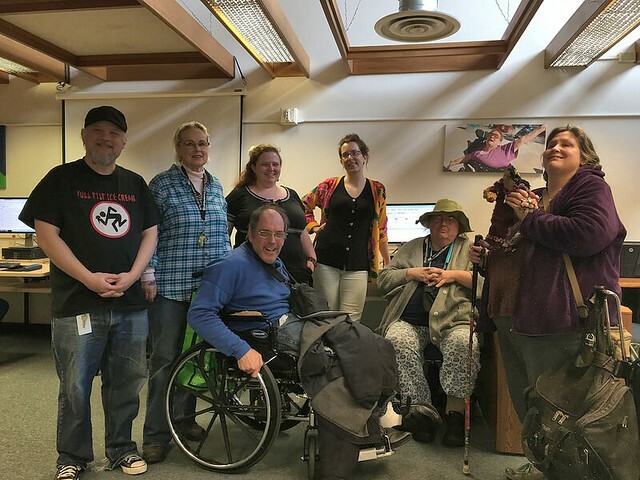 In an era where we often talk about how technology alienates us (think of your family looking at their phones instead of each other at the dinner table), Seattle Housing Authority (SHA) residents are finding ways to connect with each other through technology. In 2015, the Technology Matching Fund through the City of Seattle, allocated $24,269 to the SHA to replace a total of 18 computers; nine at the STAR of Seattle and nine at the Westwood Heights Technology Center. In collaboration with Full Life Care, a non-profit situated adjacent to the STAR that supports people with chronic illnesses, and physical or developmental disabilities, the TMF also provided for the creation of a database capable of tracking visitors at six SHA computer labs. The STAR of Seattle is the largest of the SHA computer labs and is the only one open to the public. Mike Pollack, the Information Systems Manager at Full Life Care, says the STAR and Westwood Heights Centers combined serve about 200 people per year, while Jefferson Terrace, Denny Terrace, and Barton Place serve between 40 and 80 residents each. Data collected from the labs is helping to assess resident needs and inform future grant applications. Full Life Care, for example, recently received grant money to build out a mobile computer lab that will expand computer access to more SHA buildings. The mobile lab will also provide community workshops on everything from how to protect your privacy when using social media to digital photography and video chatting. According to volunteer Dorene Cornwell, the STAR Center is a place where people can come and gain access to the resources they need, at a pace that works for them. “I’m a big fan of peer support and of emphasizing the community value of shared space,” Cornwell says. That’s why SHA residents organized the Resident Leadership Development Team Seattle Conference, held on December 16th. One of the sessions, “Accessing Technology in Low-income Communities,” covered a broad range of topics including how to coordinate trainings in SHA buildings, the process of applying for technology grants, and programs that provide low-cost internet and discount laptops. As more essential activities like banking and job applications migrate online, Cornwell explains, the challenges for people in her community multiply. Sure, online resources can be really convenient, “but if somebody is not comfortable with the technology, it’s just another dang intrusion, another way to be frustrated when our lives are kind of difficult anyway,” Cornwell says. This begs an important question: how de-sensitized are we becoming to the privileges that our personal technological devices grant us? I wrote this article entirely on my smartphone, but for some, even accessing an online article presents major obstacles. The City of Seattle is now accepting applications for the 2017 Technology Matching Fund (TMF). In 2016 the city awarded 10 community organizations a total of $320,000 in Technology Matching Funds. This funding assists more than 2,500 residents in historically underserved or underrepresented communities who lack the necessary technology access and essential digital skills to thrive in the 21st century. East African Community Services (EACS) is a lighthouse for hundreds of youth who simply want to succeed in education and life. It’s located in the New Holly Neighborhood Campus in Southeast Seattle, where more than 65 percent of residents are East African. As a first-generation Somali-American, Executive Director Faisal Jama knows what it’s like to be in the shoes of the students he passionately serves. There is an opportunity gap that East African youth experience in traditional school systems, and even within their own communities, Jama says. As children of immigrant parents, or as immigrants themselves, East African youth grow up with less understanding of how to successfully navigate the education system than their counterparts. That’s why EACS exists — to provide “culturally responsive” K-12 education programs during after-school hours throughout the academic year and in the summer. “We focus on being proactive, not reactive so that our kids are prepared,” Jama explains. Students start algebra by 8th grade instead of 9th and take math for four years instead of the three-year high school requirement. They also hold frequent workshops where community members come in to talk about their careers, family, culture and identity, providing East African youth with tangible role models for success. In other workshops, students engage in discussions on African and African-American literature. It’s important that one knows where you come from — it encourages self-love, Jama says. Since its inception, EACS has transitioned alongside the East African immigrant community it serves — from aiding newly-arrived refugees in the ‘90’s with necessary social services, to offering full-blown educational training for the children of those same families a generation later. As Jama puts it, EACS doesn’t intend to be-all and do-all for East African youth. Instead, the organization recognized that becoming an education-only institution was exactly what the kids needed. In partnership with local colleges, student-teachers instruct their classes. EACS also regularly employs high school students as interns and brings in volunteers from the community to ensure strong support in the classrooms. Since their full transformation in 2013 to an education organization, EACS has seen a 30 percent increase in student enrollment. “It’s all from word-of-mouth,” Jama explains. Parents are telling other parents. EACS alum Ahlaam Ibraahim is an example of what continuous and culturally-relevant support can do. Ibraahim was recognized for her high academic achievements in a recent Seattle Times article, and has become well known for her community activism. She even launched her own initiative, “Educating the Horn,” in connection with EACS recently, to help high school students fill out college applications and apply to scholarships. He says it’s not just STEM learning that’s beneficial, it’s the visual depiction that people of color can and do succeed that reaffirms the youth’s belief in themselves and their own ability to thrive. For hundreds of adults in the Seattle area looking to expand their education, Literacy Source is a crucial first step. At their Learning Center in Lake City, students experience a broad range of classes intended to build their language and literacy skills. As Literacy Source Executive Director Lynn Livesley explains, the organization’s strength is not only in their small class sizes — with a maximum of 15 students per class — but also in the way they keep their content accessible. Throughout a typical week, Literacy Source offers adult basic education (ABE), English as a Second Language (ESL), GED prep, math, citizenship test prep, and their new Online learning courses (made possible through a City of Seattle Technology Matching Fund grant) at convenient times. About 120 active volunteers facilitate in the classroom or work one-on-one with students every day. Volunteer tutor Wendy Mullen meets with her student for 90 minutes, twice per week. Classes and tutoring revolve around each student’s individual goals. Each student is supported by an assigned instructional advisor, who takes care to understand why learners are there and where they want to go. They check-in with their students across six-week terms. No two classes are alike because they are tailored to a cohort’s needs and ambitions. Tess Griswold, an ABE instructional advisor says this is exactly why they are successful — a culturally responsive curriculum and a classroom built around mutually agreed upon rules is the norm. Yumiko, a student in a level four ESL class, moved to Seattle from California where she worked as a dental assistant at a Japanese-speaking facility. She’s at Literacy Source because she wants to improve her English-speaking skills so that she can eventually work as a dental assistant anywhere. But for now, learning how to use a computer is helping her do better at her current job. “Because of our size and the fact we are not within a big institutional structure, we can be very nimble, flexible, and intentional about creating opportunities for the people we are working with,” Livesley explains. In 21st century America, this includes increasing digital literacy for low-income adults. Literacy Source has created a center-wide Digital Literacy curriculum which promotes technology use in some form in every single class, both in their Learning Center and in off-site programming. Focus areas include basic internet functionality, email, Google Docs, Google Maps, and Canvas (a learning management system used in higher education). Specific objectives are outlined across their Fall, Winter, Spring, and Summer terms with increasing complexity as time goes on. 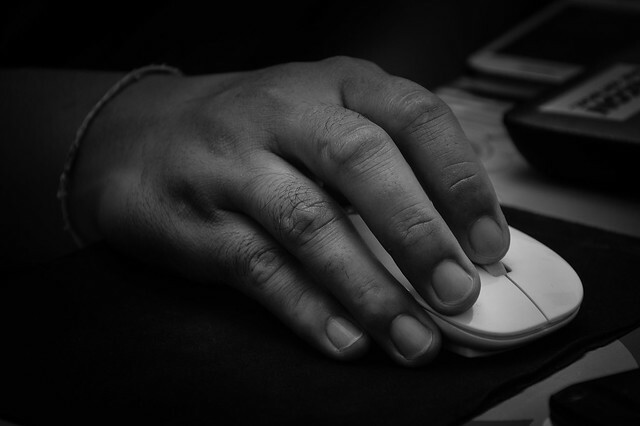 Workforce Coordinator and Instructional Advisor Janet Arbogast says that a lot of assumptions are often made when it comes to instructing adults about digital literacy. “Jobs that have previously been non-technological are starting to transition,” she explains. As tasks become more automated, workers are expected to catch on to new programs and databases quickly. But as Arbogast points out, it can be very difficult if digital training is not done in the right way. That’s why Literacy Source steps in to provide in-depth pre-training before new systems go live, and partners with other organizations to host classes on-site. Recently, they conducted a 10-week long training at NW Hospital. The unique strategies used by Literacy Source are meant to ensure that digital literacy continues long after students exit the classroom, in ways that both improve job performance and will fundamentally change a student’s life. Founded in the 1980s as the first Chinese nursing home operated by the Chinese community in the nation, Kin On now serves over 500 Asian seniors in the Greater Seattle area. Asian cultures hold a tradition for families to care for their own, according to Kin On’s website, and caregivers and staff follow a holistic approach to care for their residents. In October 2016, the facility opened a new community center as part of their Healthy Living Program, focused on the physical, mental and social aspects of health for adults over 50. Classes offered include EnhanceFitness®, Zumba®, ballroom and line dance, arts and crafts, technology, evidence-based health education, and more. At the heart of the Healthy Living Program is the Kin On Smartlab, which was initiated with the City of Seattle Technology Matching Fund. The goal of the Kin On SmartLab was to “improve social isolation, to increase interaction through email, technology literacy and access to government resources online,” said Jessica Wong who was the main program coordinator from 2015-2016. Wong said that Kin On serves many immigrants, mostly from China, Hong Kong or Taiwan. She says social isolation is a major problem, so the committee proposed the idea of a “SmartLab” to combat this, speaking to the educational, mental and social components of the Healthy Living Program. The organization previously applied for the grant from the Technology Matching Fund, and after not being chosen, they applied feedback and received the grant the following year. The SmartLab operates in the 2,600 square foot community center and the program officially began in April of 2016, featuring “all-in-one computers” with a built-in monitor and speakers, allowing for easy take-down and set up, along with a projector allowing students to see skills being taught on a larger screen. Its first set of classes included “Computers Made Easy,” teaching students basic fundamentals of using a computer. From April to July 2016, four, two-hour classes were taught once a month on select Saturdays by young professionals in the technology field. About 10 volunteers are present for each class to assist the students. There are also two open lab tutors who give one-on-one lessons twice a week. 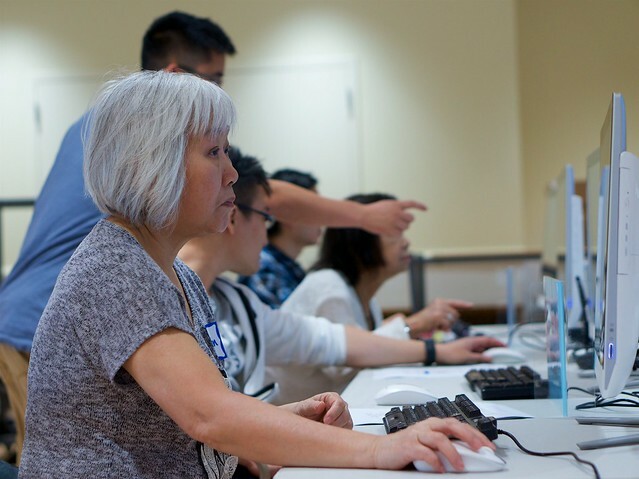 The SmartLab is open to the community and seniors aged 50+ can sign up by phone, in-person, or with help from a family member or friend, through an online application which is offered in English and Chinese. “We hope to grow to serve more people and also offer a larger variety of classes,” Wong said of Kin On’s goals for the future of the technology program. “For this coming year, we have improved our methods and how we teach by simplifying the classes with more repetition and practice time.” The 2017 classes schedule is now available online. The SmartLab will continue to push towards its three main goals: combatting social isolation through online access to social media and communication platforms, improving technology literacy, and increasing access to health and government resources online. For more information or questions, please contact Anne Nguyen who oversees Kin On’s Healthy Living Program at 206-556-2237 or healthyliving@kinon.org. “Martin G. Johanson wanted everyone to feel like a millionaire whether they had a nickel in their pocket or nothing at all,” Executive Director Jim Miller tells me. In his quest to make this vision a reality, Seattle’s Millionair Club Charity (MCC) was formed in 1921. A local businessman, Johanson watched as his city reeled from the economic devastation of WWI leaving many unemployed. While some charities were providing hot meals, Johanson believed the key to breaking the cycle and providing people with the agency to lead a dignified life was the privilege of a well earned paycheck. “That’s why we’re a job-first organization,” Miller adds. While the organization couples job opportunities with housing support, the Millionair Club is known for having provided over 800 workers this year to over 1000 businesses who hired people who’ve experienced homelessness or are currently experiencing homelessness. For many that’s the first time someone’s offered them a tangible solution. Currently the organization focuses on providing people with Food Handler’s Cards and MAST (WA State’s Mandatory Alcohol Server Training) licensing. Many people often lack the $10-$15 cost of a certification and that alone can be the barrier that keeps them from accessing a job. What’s more is that even if the money was available and prioritized, an online course means access to a computer is a necessity. Herein lies the beauty of The Millionair Club. It’s a thoughtfully assessed system that foresees solutions to barriers that may be holding their clients back. It’s that kind of foresight that prompted the organization to develop a small, eight-station computer lab devoted to job support. But they didn’t stop there. As the need grew and the positive effects rippled out, the social entreprise knew they had to keep up with the demand from their clients. With support from the City of Seattle Technology Matching Fund through a $21,800 grant, The Millionair Club developed their small computer lab into a Workforce Development site equipped with 32 workstations. Now folks can come in to the same place where they can shower, do laundry, store their belongings, eat a hot meal, pass their food handler’s certification test, and even get work clothes for employment the very same day. “We love it when people say ‘I came in for lunch, I came out with a job!’” says Christine Rylko, Director of Communications at The Millionair Club. What’s more is that the organization also provides transportation to and from work and a completely free vision clinic for folks who need glasses (much needed for job readiness!) Coupled with housing opportunities, free showers and laundry, the place is a one-stop shop for people to get back on their feet. This year alone this intricate system has helped 154 people transition to full time permanent jobs. With over 4,500 people without a home identified during this year’s One Night Count and 6,000 more in King County shelters, that kind of program is revolutionary and indeed much-needed. “I want to pass that on to anyone out there who needs help to work. The MCC is where it’s at for good clothing and work. In fact, I haven’t heard of any organization out there that’s like them. 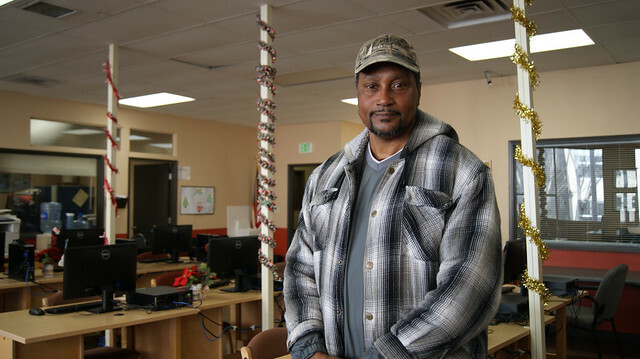 Everyone should come to the MCC for help because it’s #1,” says Sam, a client who experienced both the pains of homelessness and the joy of finding his way back to a secure home with the help of The Millionair Club. With stories like this, the organization’s name is no misnomer. They are championing the way for Seattle’s homeless population to feel like millionaires themselves. Imagine how hard it would be to access information and resources if you didn’t have computer skills. Now imagine if, on top of that, you have just moved to a foreign country and were still learning the predominant language. The goal for the Coalition for Refugees from Burma’s program “Nexus: Connecting Newcomers with Technology” is to remove those barriers for recently-arrived refugee and immigrant communities. When the CRB began in 2009 there was a larger community of refugees and immigrants from Burma in the Seattle area. Since then, though, a lot of them have moved to more affordable cities. According to the City’s Office of Immigrants and Refugee Affairs, as of October 2015, there are 261 refugees from Burma in Washington state. Five years prior, in 2010, there were almost 800 refugees from Burma in the state, according to data by the U.S. Department of State Refugee Processing Center. 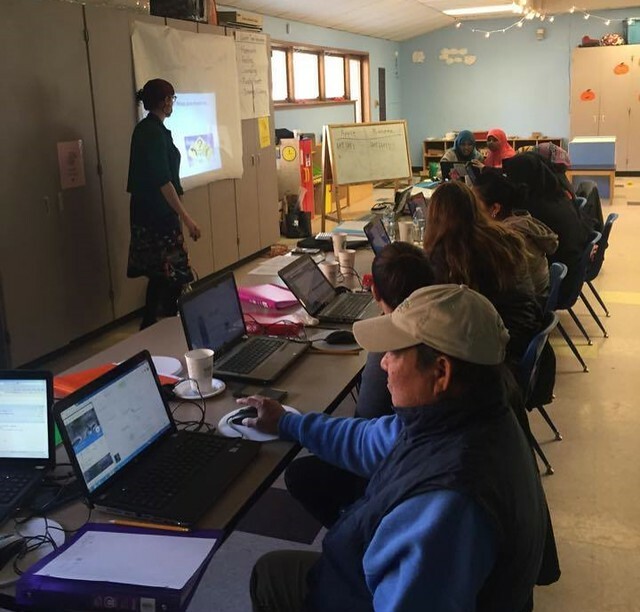 Responding to the change, in 2016 CRB started to expand their computer literacy programs to serve all recently-arrived refugees and immigrants. 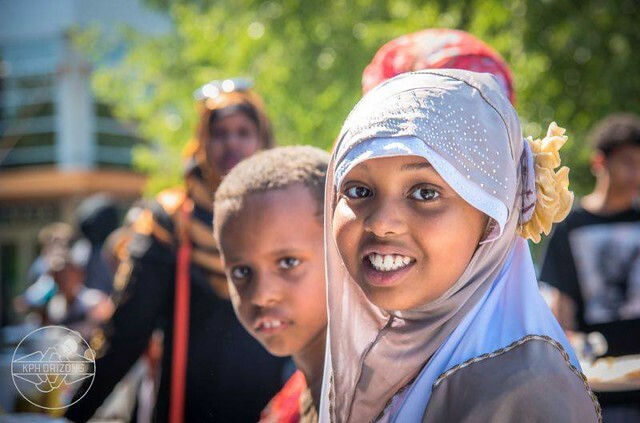 CRB collaborated with partners like Seattle World School, Somali Youth and Family Club and the Seattle University Center for Service and Community Engagement to ensure its computer classes are linguistically and culturally relevant. It has also expanded its program to include immigrants and refugees in Kent. According to Siobhan Whalen, a program manager at CRB, this past year in the Kent program alone, CRB served immigrants and refugees speaking over 13 languages from eight countries. Rosa, an immigrant from Mexico who moved to Seattle in 2002, is one of those clients. Her son goes to Bailey Gatzert Elementary School, where the Seattle University Center for Service and Community Engagement hosts “Family Talk Time,” a program to help English Language Learner families get involved with conversations that happen at the school. This was also where the computer classes taught by CRB were held. Rosa joined the program at the beginning of 2016. Because of the computer classes, Rosa now has a Gmail account. But there are many other tech skills she wants to learn this coming year. “I want to know the other programs I have on my computer, use more of my fingers on the keyboard,” said Rosa. The TMF award will also allow CRB to file paperwork to reduce monthly home internet costs for Rosa and others, from $45 to $10. Whalen, who is also an instructor, said that the impact of those computer classes on immigrants and refugees is very immediate. “That’s part of technology, right? That immediate access to information, to opportunities, to resources,” she said. Whalen recalls seeing that impact hit her inbox on a recent day, following one of the computer literacy classes at Bailey Gatzert. Students had just gone through a lesson on making an email account and practicing writing messages to each other. “We just thought, how cool, that almost instantly that this parent felt empowered and had a platform for her voice to reach out to me and our partners at Seattle U. It was like full circle I think for myself and for the Seattle U folks — that advocacy piece,” said Whalen. Learning technical skills is an important part of those classes, but Whalen says that the CRB is really interested in building confidence so that the communities they serve are able to advocate for themselves and their families. The City of Seattle is now accepting applications for the Technology Matching Fund. Grants of up to $50,000 are available. The deadline is Wednesday, May 4, at 5:00 p.m. The Technology Matching Fund provides funds for digital equity projects. The goals of the fund are to increase access to free or low-cost broadband, empower residents with digital literacy skills, and ensure affordable, available and sufficient devices and technical support. This year the fund seeks to support creative and collaborative approaches. Priority will be given to projects that strengthen community partnerships, leverage existing expertise, and engage historically underserved or underrepresented communities. More information is available here, or contact Delia Burke at (206) 233-2651 or communitytechnology@seattle.gov. The City of Seattle is now accepting applications for collaborative technology projects up to $50,000. City dollars are matched by the community’s contribution of volunteer labor, materials, professional services, or cash. Get the 2016 guidelines and apply here: http://seattle.gov/tech/tmf. Ensure affordable, available and sufficient devices and technical support. Deadline: May 4 at 5:00 p.m.